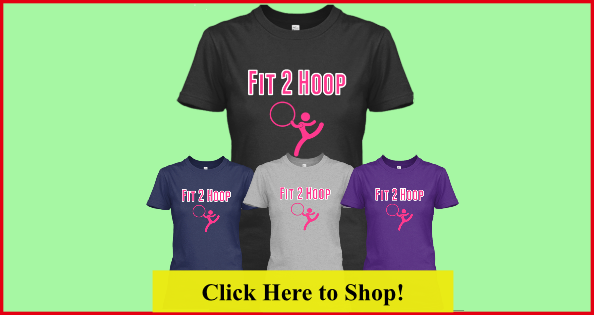 Hula Hooping - Your Online Guide to Hoop Dance workout and more! Hoop Your Way to Firmer Abs and Slimmer Waist. You have just found the ultimate beginner's guide to hula hooping. If you never thought of yourself as a hooper, don't worry. the point where my jeans no longer fit tight. The best part is there is no need for gym membership and no fad dieting - just hoop your way to a slimmer waist and firmer abs in no time. Get fit to hoop today and lose those extra inches around your waist. Just in case you are not sure what it takes to be fit to hula hoop, let me help you. It's important to select the right hula hoop before you start hooping. There are different sizes to choose from. If you are new to hooping or you are looking for a fun workout to lose weight, then you want to start with a weighted hula hoop. This will help you learn to waist hoop properly. Once you have gotten the technique of waist hooping down, then you can move on to a smaller, lighter dance hoop. Using a lighter hoop allows you to learn some advanced on and off body moves. Check out these tips on purchasing the right hoop. What you wear while hooping can either help or interfere with your ability to learn to hoop. It's best to wear clothing that allows the hoop to cling to your skin so the hoop can stay up around your waist. Check out these tips on wearing the right clothes for hooping. It does not matter where or when you start hooping. Just start. Whether you are at home, at the park, or even at the gym. Sometimes, you need a little guidance or a mentor to teach you some cool and fascinating hoop tricks. Take advantage of Hoopnotica and HoopGirl training materials. They, both, provide some excellent tips on learning advanced hooping moves. Also, you can schedule time for hooping through out the day by breaking your workout up into 10 minute blocks. Read more about How to Schedule more time for hooping. Discover how you can get a full body workout while hooping. Hooping is a great way to burn calories, tighten core muscles, and get an aerobic workout. Many people, including myself, have experienced changes in our bodies after working out with a hula hoop. You can expect to see great results by adding hooping to your daily physical activity. Please... don't say you don't have the time to workout. Hooping is a fitness idea that is not only fun, but will fit into any busy schedule. Get a Flat Stomach with the right kinds of foods. It would be nice if we can just eat what we want without worrying about our waistline. Let's face it - Any amount of cardio or stomach exercise is not going to get you that flat, toned stomach if you are not eating right. Don't get me wrong, it's okay to treat yourself every now and then. I mean, you don't have to deprive yourself. But, if your diet consists of Twinkies, chips, and sodas you are not going to see the desired results. Moderation is the key here! Eating a clean diet is the most important thing to getting a flat stomach. If you are anything like me, I don't like spending all my time at the gym. But, if you have your diet on track, then you want have to spend as much time at the gym! You will find that your cardio and strength training efforts will decrease as you spend more time eating a clean diet. Learn How to jazz up any party with hula hoops. There are many ways to explore fun with hooping. Birthday parties are a good way for kids and adults to have fun while mingling with friends and family. You can add since of uniqueness to any party or social gathering by adding new tricks and provide entertainment. Hooping promotes play and childlike, spirited celebration. So why not throw in some hula hoops with your next party and watch everyone have mind altering fun.